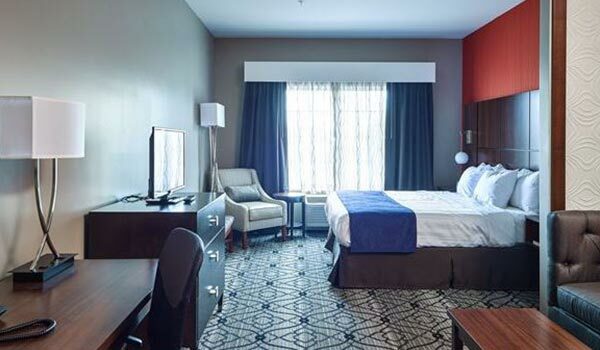 Soak up views of the historic Gettysburg battlefields from brand-new rooms at the Best Western Gettysburg, PA. 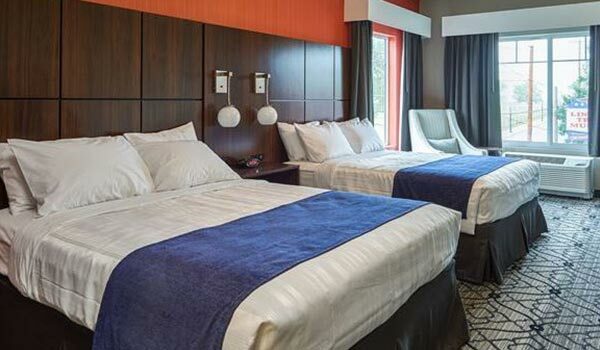 Enjoy contemporary comfort in rooms and suites offering a plush king or queen bed topped with a Serta Perfect Sleeper Mattress. Enjoy a complimentary hot breakfast buffet. Catch up on your favorite movies or sports on the flat-screen TV. Keep drinks cold in the fridge or prepare a quick snack in the microwave. Stay connected with free Wi-Fi. Spread out in our perfectly designed rooms and suites. Some available with separate bedrooms and living areas with sleeper sofas. Make yourself at home in this modern room with one king-sized bed with a Serta Perfect Sleeper Mattress, a sleeper sofa, free Wi-Fi, refrigerator, and microwave. 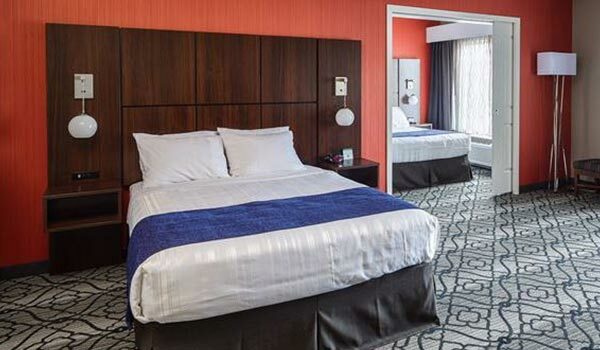 Unwind in this contemporary room with two plush queen-sized beds with Serta Perfect Sleeper Mattresses, free Wi-Fi, and microwave/refrigerator for extra convenience. Relax in this two-room, ADA-compliant suite with a separate bedroom with two queen-sized beds with Serta Perfect Sleeper Mattresses, refrigerator/microwave and a living area with a sleeper sofa. Experience comfort with a one queen-sized bed with a Serta Perfect Sleeper Mattress, battlefield views, sleeper sofa, free Wi-Fi, refrigerator/microwave, and roll-in shower.